Stickle Bricks have been around since 1969 and are still going strong. 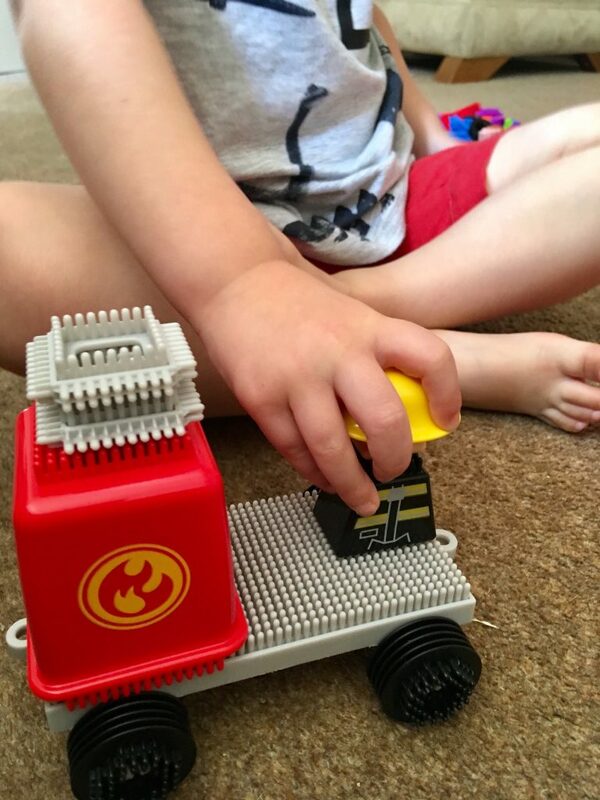 Lucas was sent* some to review including the Stickle Bricks Build It Big box and the Fire Engine set. 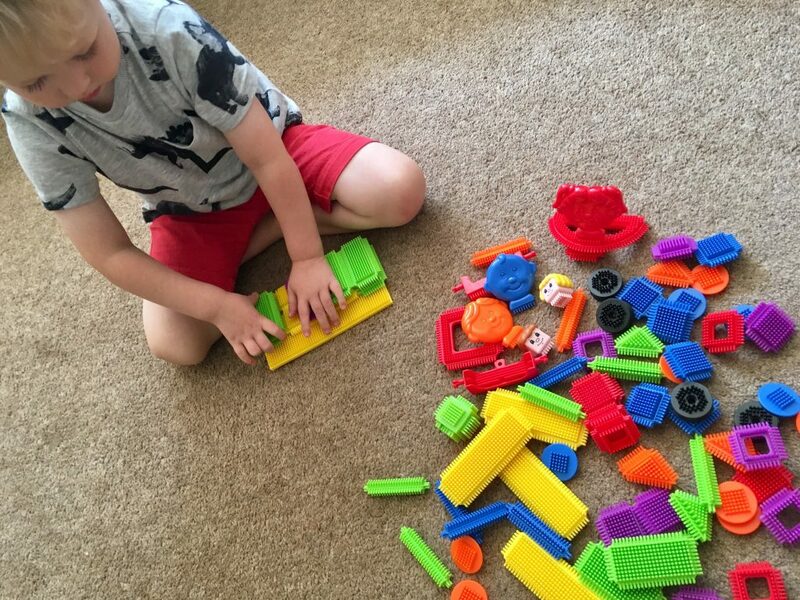 Stickle Bricks are colourful plastic shapes with small soft spiky bits all over them allowing the child to interlock them and join them up in various ways to make their own creations. 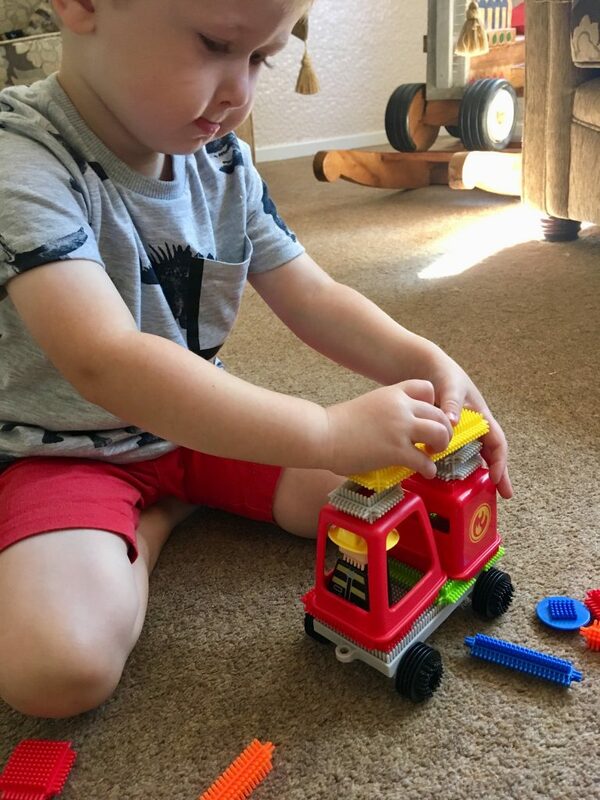 The Stickle Brick Build It Big box is a great starter kit, containing 84 pieces in different shapes and sizes and including a larger piece that we have been using a a building base. The Fire Engine set contains various pieces to create the fire engine, fire fighter and fire station which can be built on the lid of the box the set comes in which I really like how they doubled that up. Lucas has been enjoying building things but he does get frustrated at times when they don’t stick properly together. They stick well when he is building a tower or something that stays still but when he makes a vehicle and tries to use it, it falls apart a little too easily, even when I have tried to move a car that we have built gently, it doesn’t stay together. My nephew does have some stickle bricks and they make for lovely birthday presents. 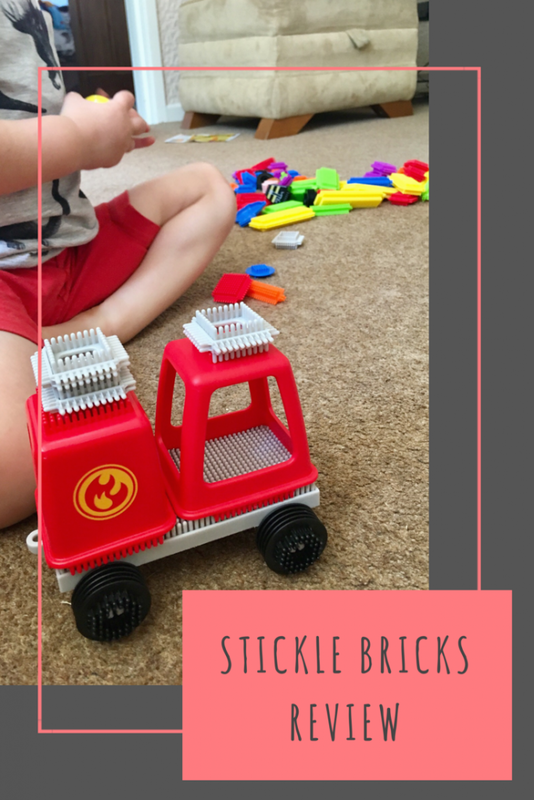 We haven’t played with Stickle Bricks for ages and blogger gow much fun they are! Going to root ours out! Oh I used to love these when I was little! I need to get some for mine to try! I don’t think I’ve ever played with Stickle Bricks, in either my childhood or my children’s!